Typically every week, the education staff gets many requests to schedule school group visits to the Museum. Over the past week, in addition to field trip requests, – we have had several requests from schools to participate as judges at the schools’ upcoming National History Day competitions. Over the years we have been invited by schools to participate, but I thought it was kind of unusual that in the past week, three separate schools have reached out to the JMM to be judges at their school’s National History Day competition. I wondered what would be involved – being a judge ….. it just sounds so OFFICIAL. So, I did some investigating about National History Day. National History Day (NHD) is a highly regarded academic program for elementary and secondary school students. National History Day makes history come alive for students by engaging them in the discovery of the historical, cultural and social experiences of the past. NHD inspires students through exciting competitions and transforms teaching through project-based curriculum and instruction. Each year, more than half a million students, encouraged by thousands of teachers nationwide participate in the NHD contest. Students choose historical topics related to a theme and conduct extensive primary and secondary research through libraries, archives, museums, oral history interviews and historic sites. Every year National History Day frames students’ research within a historical theme. The National History Day theme provides a focused way to increase student’s historical understanding by developing a lens to read history, an organizational structure that helps students place information in the correct context and finally, the ability to see connections over time. 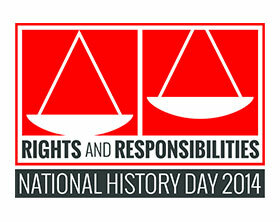 This year’s theme is Rights and Responsibilities in History. After analyzing and interpreting their sources and drawing conclusions about their topics’ significance in history, students present their work in original papers, websites, exhibits, performances and documentaries. These products are entered into competitions in the spring at local, state and national levels where they are evaluated by professional historians and educators. As a judge, for National History Day, each judge will be given a rubric and some “interview questions” for each student. Each judge will be given a set amount of students to interview and judge based on the final project. The National History Day program culminates in the Kenneth E. Behring National Contest each June held at the University of Maryland at College Park. This is where the best National History Day projects from across the United States, American Samoa, Guam, International Schools and Department of Defense Schools in Europe all meet and compete. This year’s competition will be held on June 15 – 19. The education staff at the JMM is delighted to be asked by our partner schools to participate in such an exciting learning experience for area students. It’s wonderful that history and social studies are being taught in our schools. The fact that teachers bring their students to the JMM for field trip opportunities and attend professional development workshops only reinforces the importance of history museums in our community. It’s even more exciting that teachers view the Jewish Museum of Maryland as an important stakeholder in our community. You can find out more about National History Day by visiting their website at http://www.nhd.org/ and more information about Maryland History Day here! 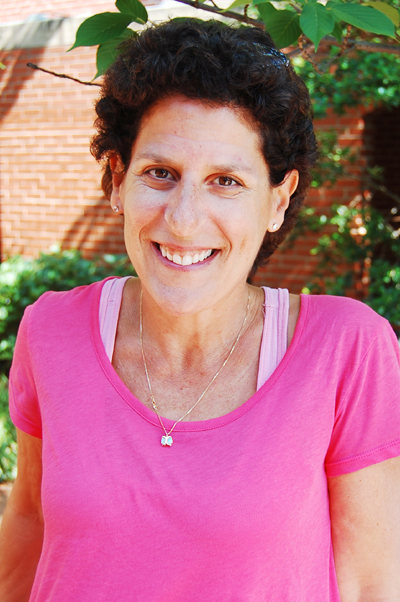 A blog post by Education Director Ilene Dackman-Alon. To read more post by Ilene, click here.